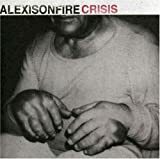 ALEXISONFIRE DRUNKS, LOVERS, SINNERS AND SAINTS LYRICS"
there's no need to waste my time. spending your life, jumping from sinking ship to sinking ship. i know i'd rather drown. not a jaded hair upon my head. 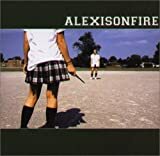 All Alexisonfire - Drunks, Lovers, Sinners And Saints lyrics are property and © copyright of their respective owners. All Drunks, Lovers, Sinners And Saints lyrics provided for educational purposes only.